We cruise cruise around the Black Country Ring. 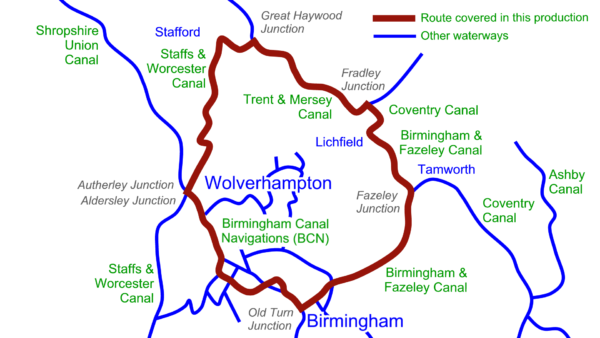 Our cruise will take us clockwise around the Black Country Ring from Old Turn Junction. We’ll use the Old Main Line for our journey through the Birmingham Canal Navigations and descend the Wolverhampton 21 locks to reach Aldersley Junction. 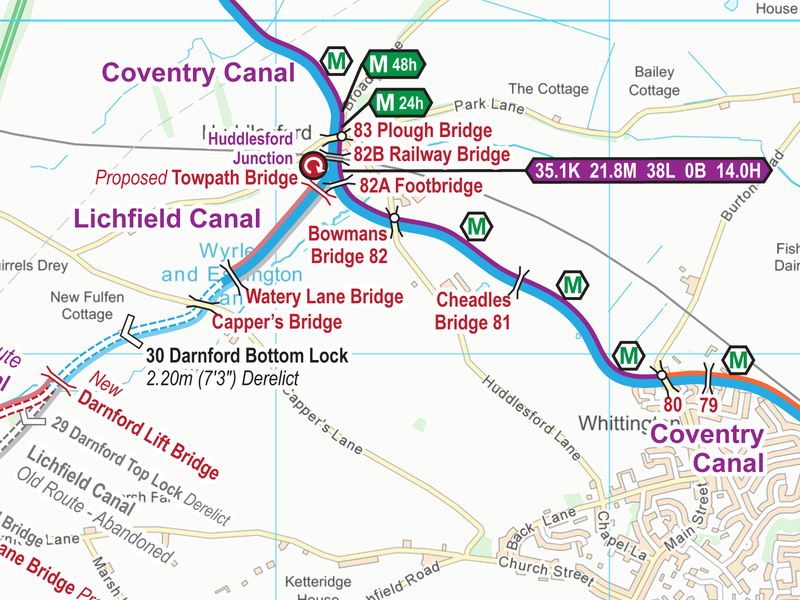 The individual locks of the Staffs & Worcester Canal and the Trent & Mersey Canal take us through Great Haywood Junction to Fradley Junction. A lock free section leads us Fazeley Junction before we climb the locks of the Birmingham & Fazeley Canal to return to Birmingham. Around the ring we see a delightful mixture of urban and rural scenes. Route covered by the Black Country Ring DVDs. 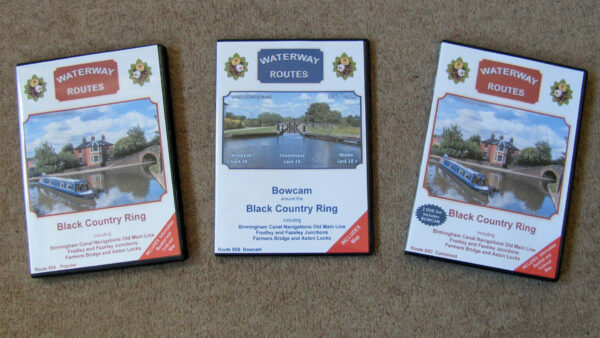 Black Country Ring DVDs in a choice of formats. Contents of Black Country Ring Combined DVD. 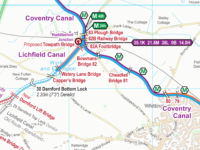 Extract from my Black Country Ring Maps. Read more about my Black Country Ring Maps. 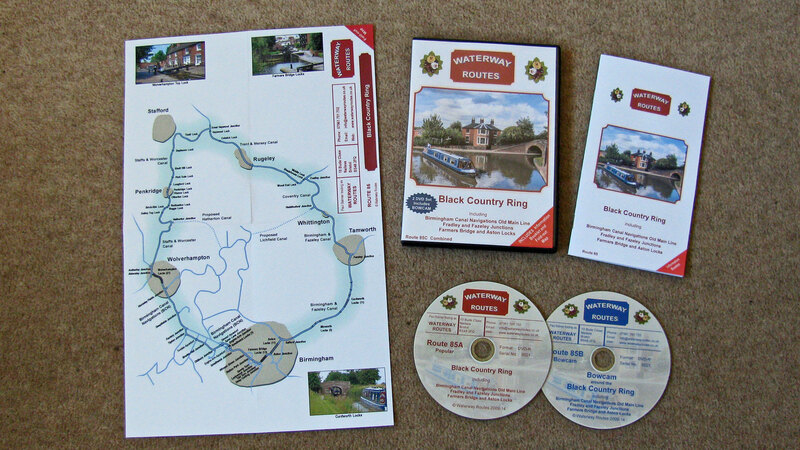 Save 10% on both when you buy a Black Country Ring Map and DVD together. Automatically deducted at checkout.